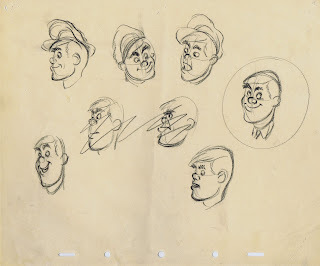 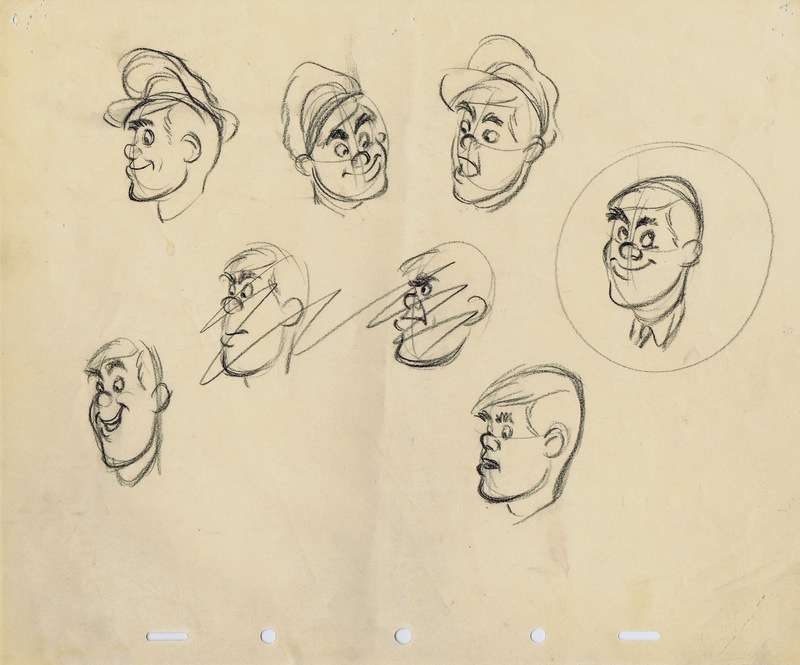 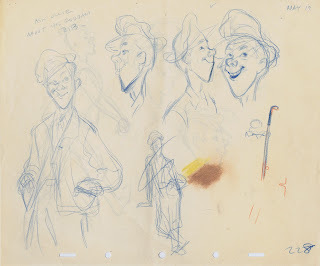 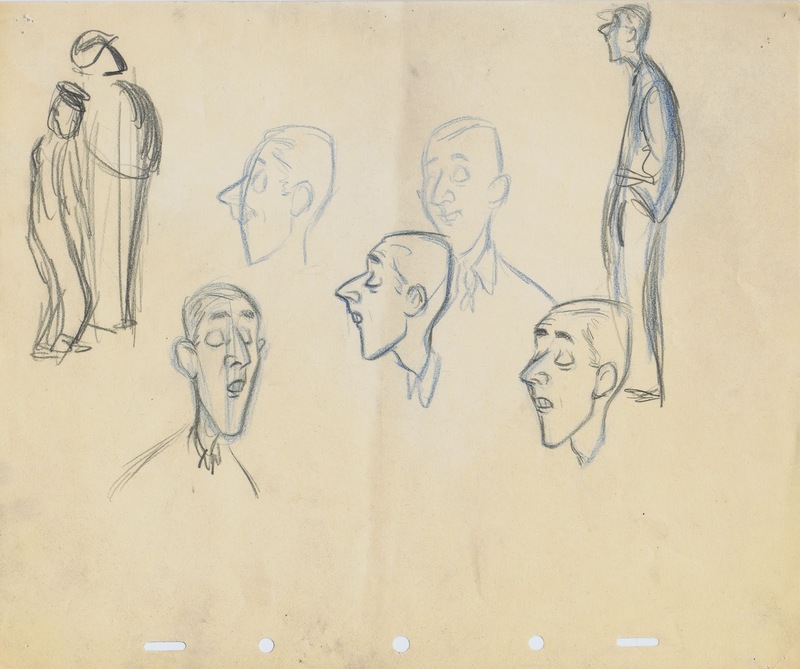 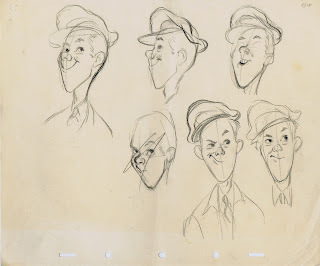 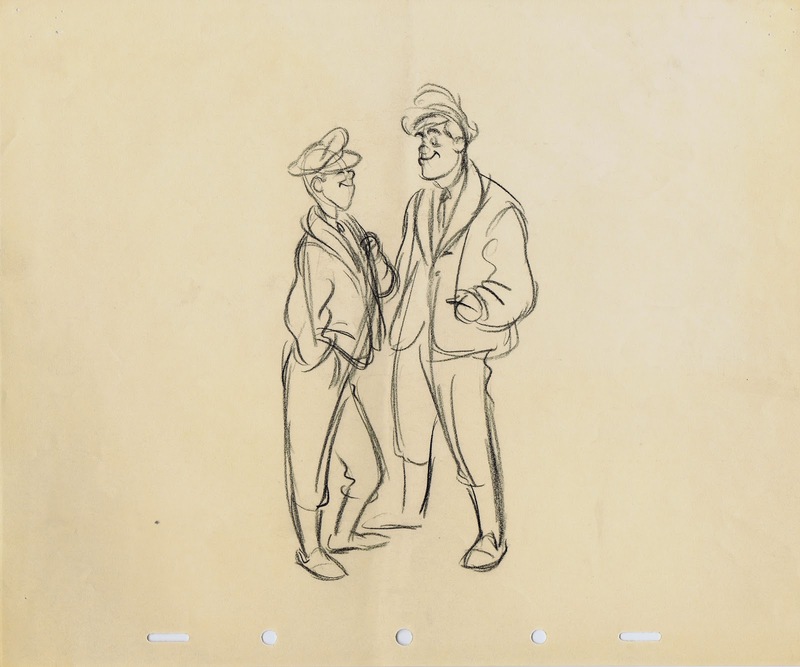 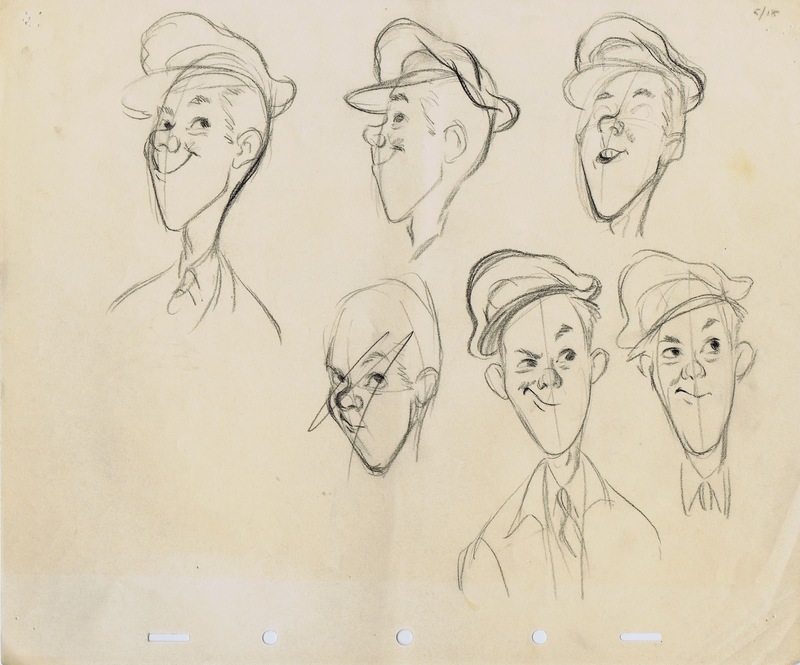 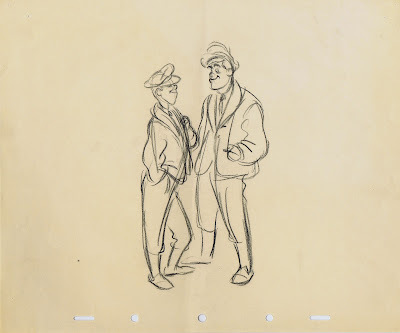 The following sketches by Milt Kahl were obviously done during that time. 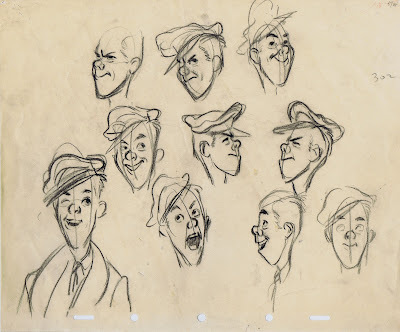 They show caricatures of servicemen and perhaps studio personal. 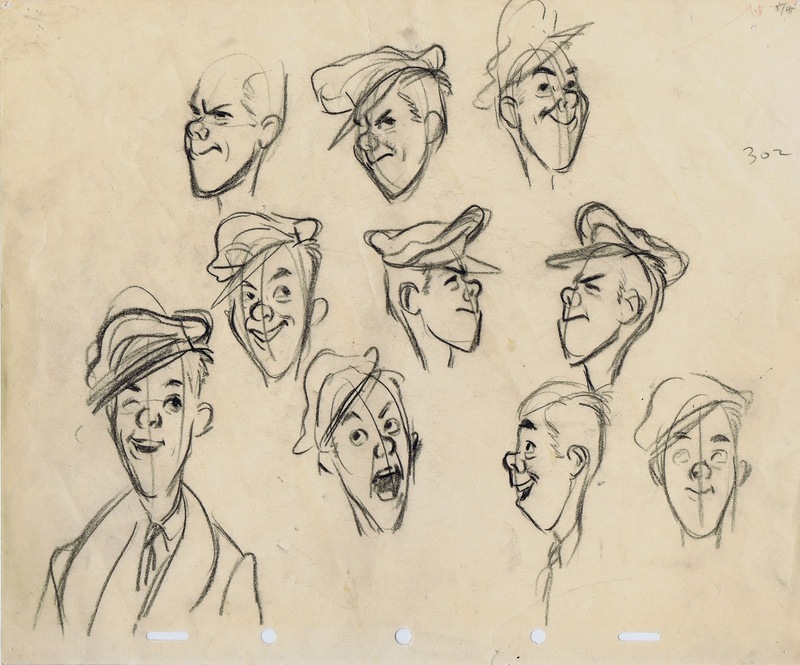 These sheets also look like character designs for possible propaganda shorts. 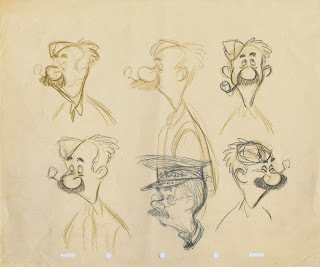 And yet to my knowledge these characters were never animated. 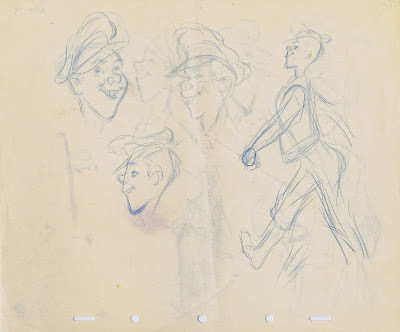 A few of the images remind me of Brom Bones, but that character wouldn't appear on screen until 1949 in "Ichabod and Mr. Toad", and certainly not in military uniform. 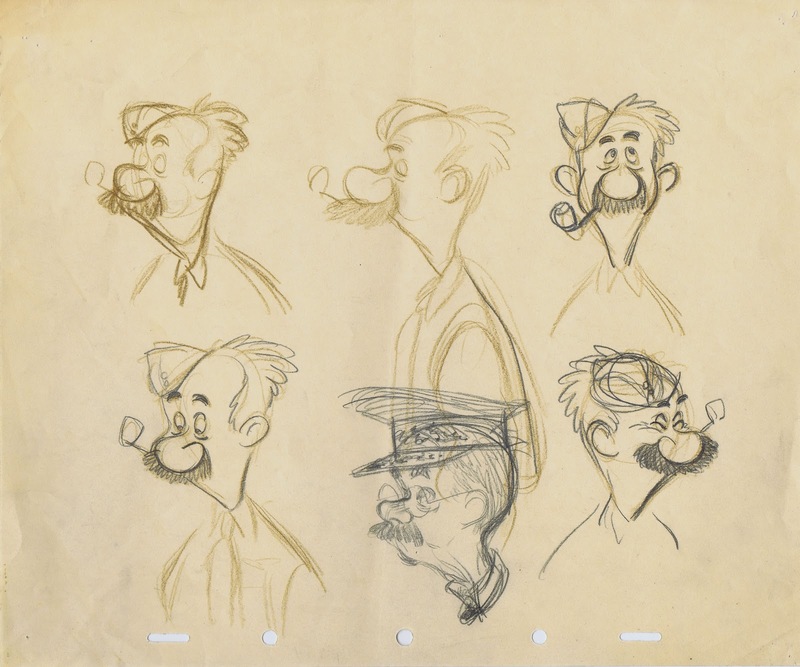 This is fascinating stuff, all sheets have pin holes, so they were part of a presentation. 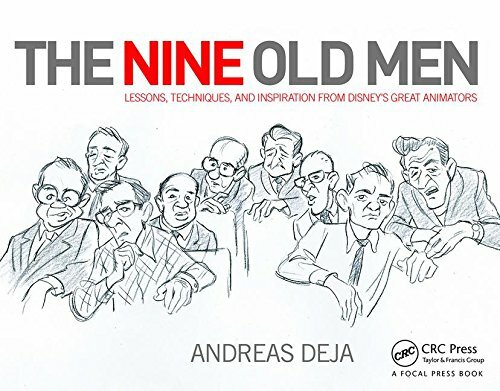 There is so much appeal in these drawings, but then again it was Milt who redefined appeal for Disney. 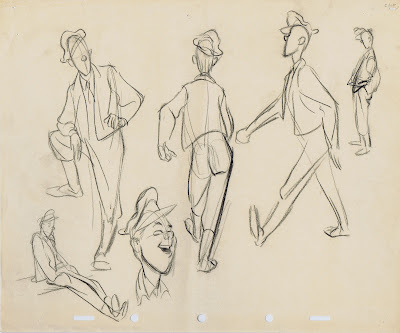 The full figure sketches just floor me, what beautiful rhythm going through the poses. 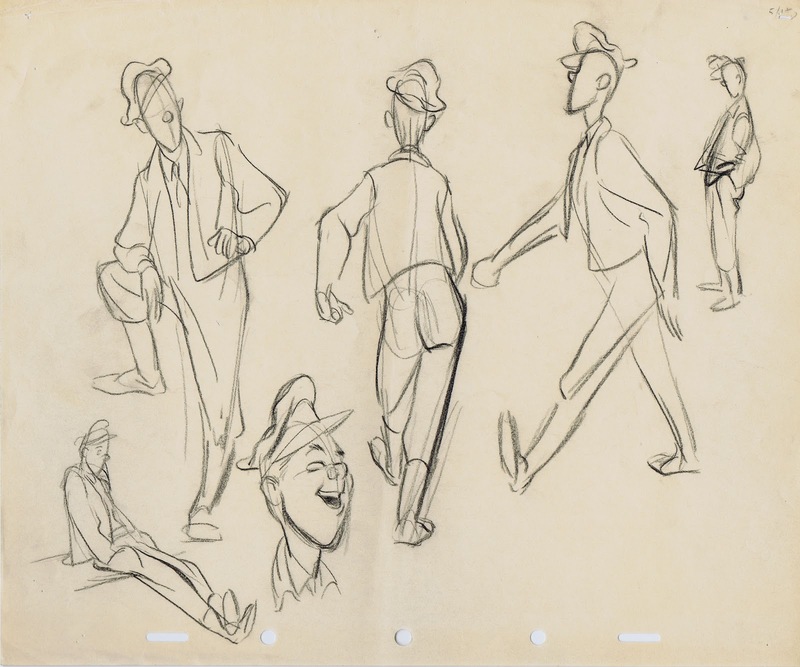 If anybody has any doubt whether or not these are Milt's, just read the note on the third page regarding Ollie Johnston, upper left corner. 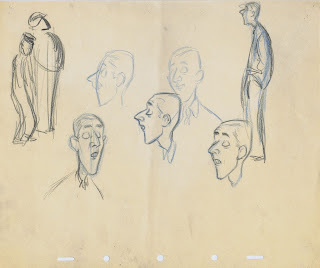 This is the work of someone who confessed that he didn't particularly care to draw, but didn't mind.